1. 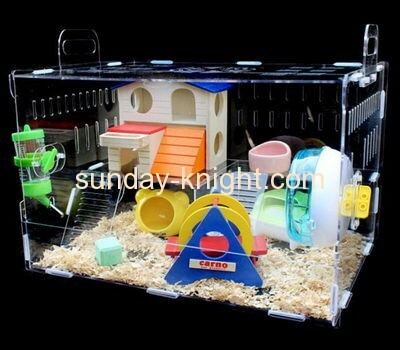 Item Name: Acrylic hamster house. 2. Material: clear acrylic/ PMMA/ plexiglass/ perspex/ Resin. 4. Usage: acrylic display for your products . 5. Craft: cutting, high polish, laser engrave, gluing. 6. Packing: individually in polybag, then into inner box, several boxes into master carton. 7. Sample time: 3- 5 days.